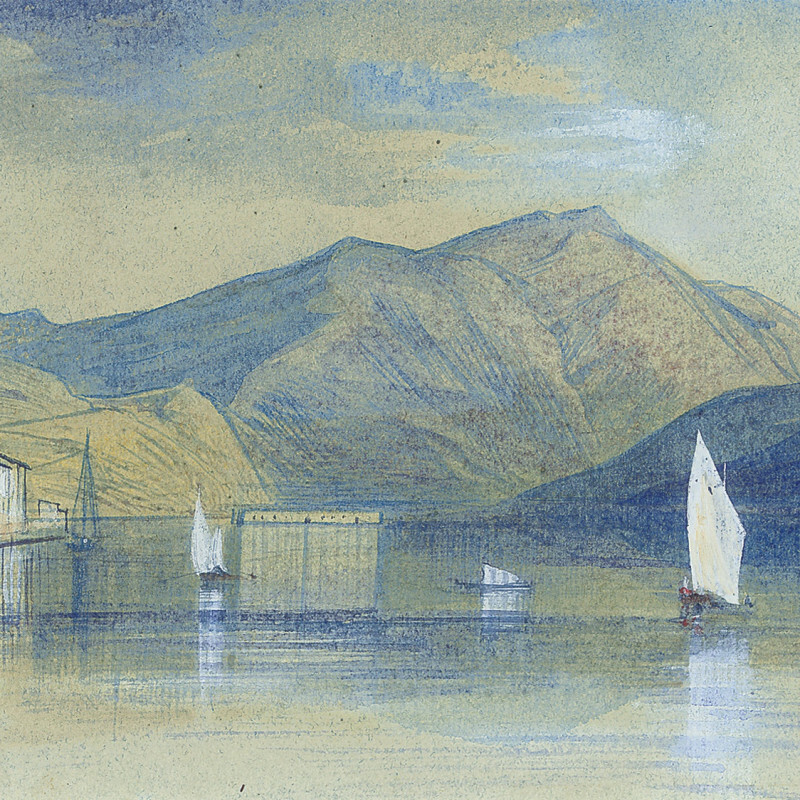 Edward Lear was a great polymath: an artist, illustrator, musician, author and poet. He was already working as an illustrator for the Zoological Society by the age of sixteen. His longstanding ill health, which involved epilepsy, depression and poor eyesight, did not stop him from travelling extensively, and producing watercolour sketches, often annotated, and oil paintings of the landscapes he visited. He is now most widely remembered for his verse and limericks, as well as his distinctive illustrations.